So you think that trilobite is rare? 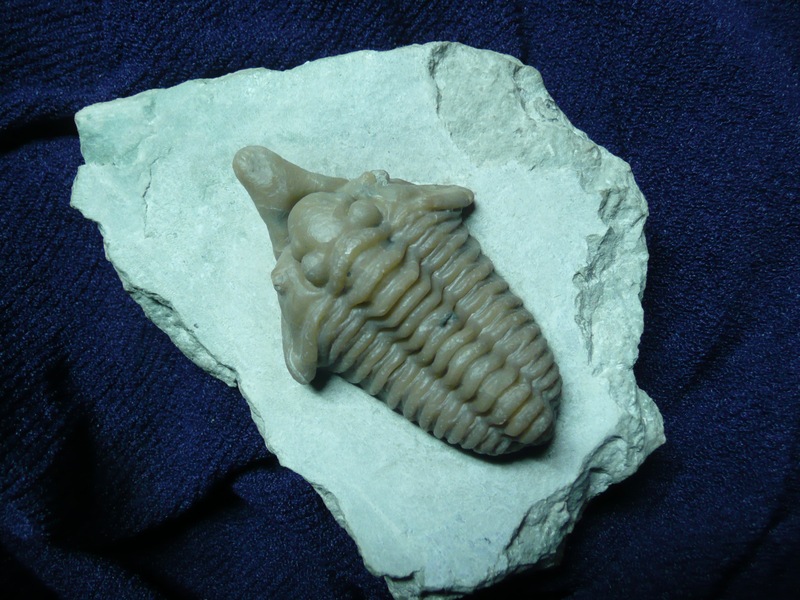 I frequently collect the Massie (formerly Osgood) Shale of Southeast Indiana, usually in pursuit of the rare Spathacalymene nasuta (“snout-nosed”) trilobite. The search is made all the more difficult since the locality, a commercial quarry, has not exposed any new productive shale in several years. So I find myself picking through the same old rocks and the same old spoil piles over and over and over again. In my 37+ years of collecting the quarry, I’ve rolled over and scrubbed thousands of rocks in hopes there’d be one on the other side. And split open just as many rocks, hoping there’s one on the inside. Most of the time, there’s nothing there. On far too many days, I go home with an empty collecting box. But every once in a while, a trilobite appears. A couple months ago, that was the case. I flipped over a small chunk of hard matrix to find the dorsal side of a 2-inch bug! My best find of the season at the quarry. The rock was heavily weathered and immediately fell apart into two thin flakes: the dorsal view (Figure 1) and a ventral view, revealing the bug’s “cheeks” (Figure 2). The “snout” is not visible, so hopefully (and most likely) it’s still buried in the matrix. Figure 1. Top view of unprepared Spathacalymene nasuta as found in the Silurian Massie Shale. Specimen is 2 inches long. Figure 2. Ventral view of trilobite in Figure 1, revealing the cheeks. 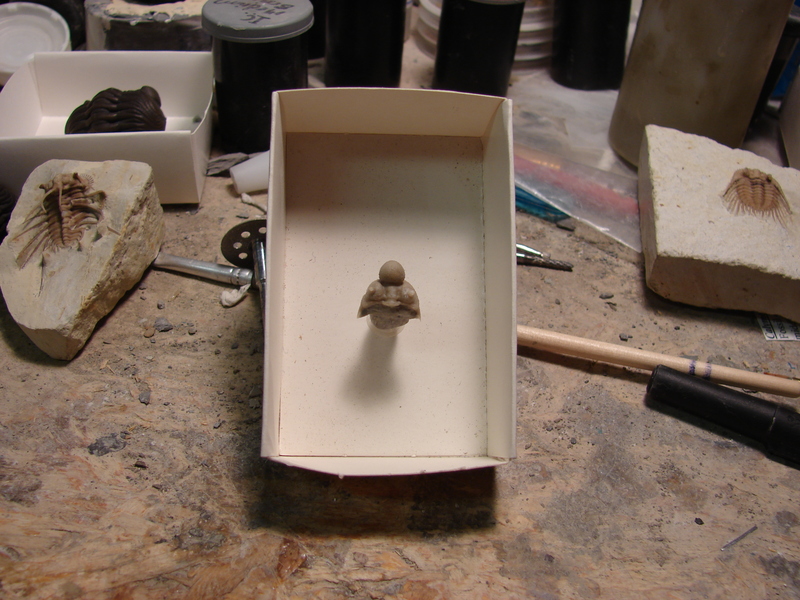 Eventually, the trilobite in Figures 1 & 2 will be prepped for display. I anticipate it will look as stunning as the specimen I found a few years ago (Figure 3) — it is one of several prepped “Spaths” in my collection. Figure 3. Spathacalymene nasuta from the Silurian Massie Shale. Specimen is 2.25 inches long. Prepared by Ben Cooper. Yet as rare as Spathacalymene is, there are several other Massie Shale bugs that are far rarer. For example, a good quality Calymene. Sure, I’ve seen many cross sections of them in the concrete-like Laurel Limestone that overlays the Massie Shale. And many flattened eroded ones on bedding planes in this limestone. 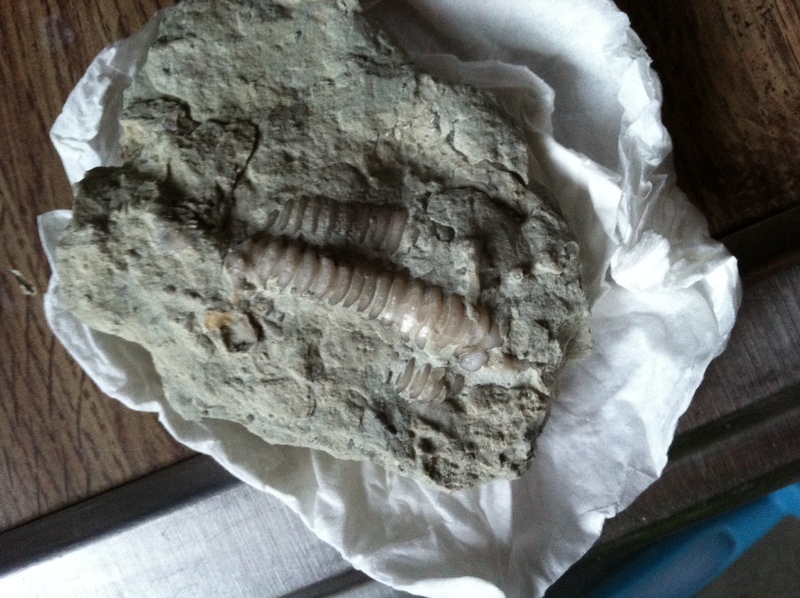 But in my many years of collecting the Massie Shale itself, I have only 5 good specimens. See an example in Figure 4. Figure 4. 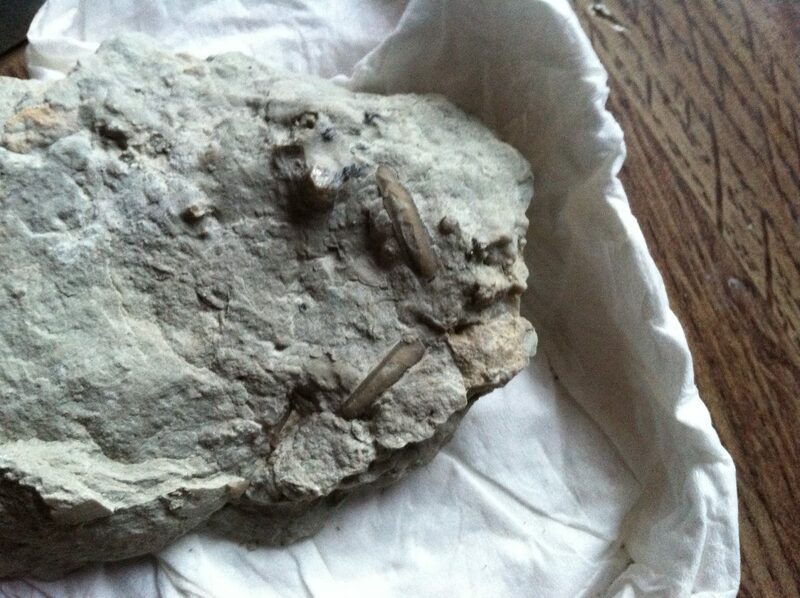 Calymene from the Silurian Massie Shale. Specimen is 2 inches long. Prepared by Ben Cooper. Even rarer is a quality specimen of Bumastus. Molted pieces of them are easy to find. Some rocks are packed full of parts. Yet complete specimens? I have only 2. One of those is shown in Figure 5. Figure 5. Bumastus from the Silurian Massie Shale. Specimen is 3.5 inches long. Prepared by Ben Cooper. And then there are the ones that I’ve only found as fragments: Dalmanites (mostly heads and tails) and a Lichid (a few tails). As for complete specimens from the Massie Shale? I haven’t seen any. Yet there’s one that is even rarer. 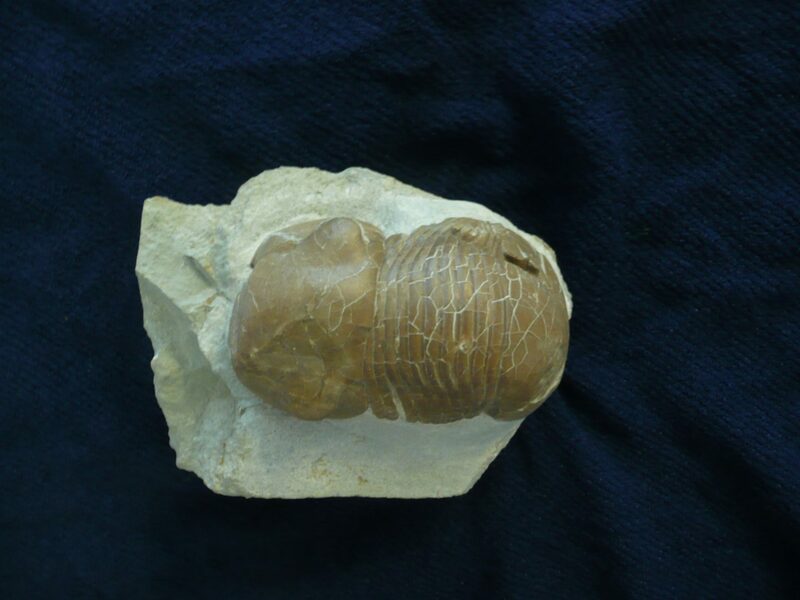 It’s a small “bulbous-nosed” trilobite which appears to be Staurocephalus. I am aware of only one head being found, by a collector from Michigan (Figure 6). Figure 6. Staurocephalus (in the white box in the center of the picture) from the Silurian Massie Shale. Specimen is approximately 0.5 inch across. Found by Stan Hyne. Prepared by Scott Vergiels. 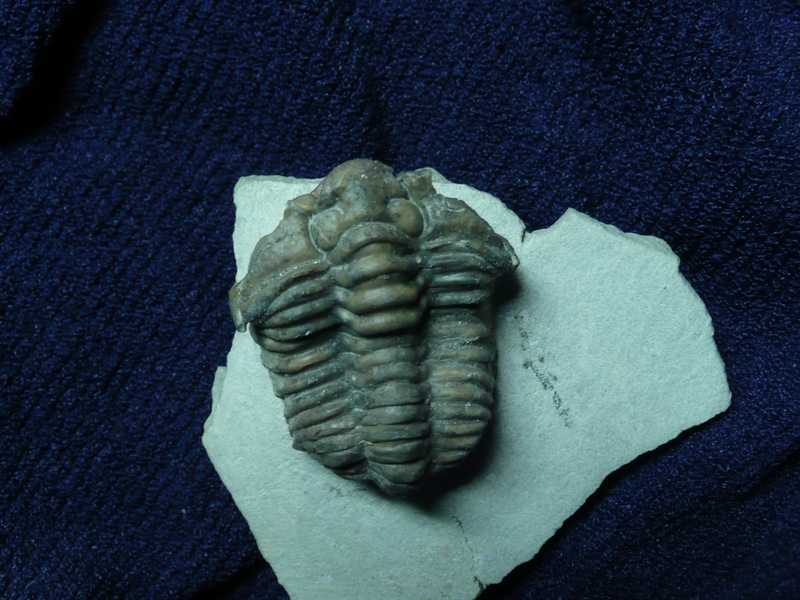 So, yes, Spathacalymene nasuta is a rare trilobite. But there are definitely much rarer ones in the same formation that I have yet to find as complete specimens. That means it must be time to load up the car with tools and head over there again. 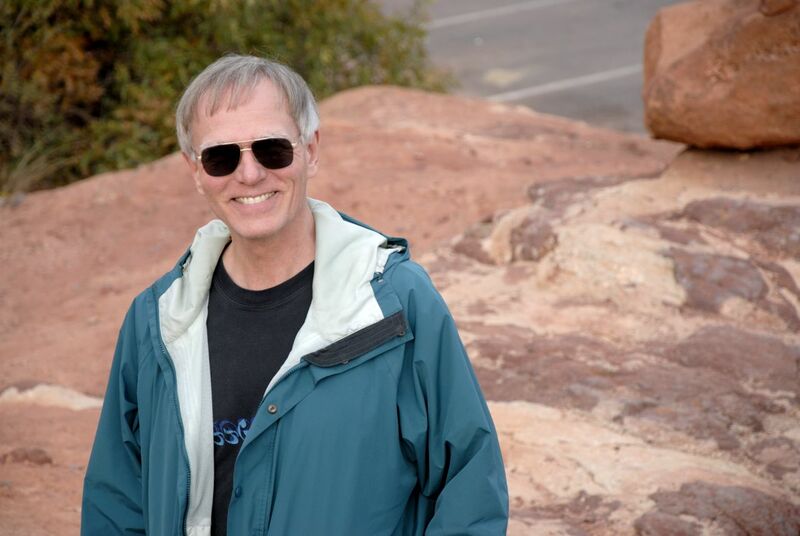 Maybe I’ll roll over or split just the right rock and find….